Posted September 3, 2017 by CultBox Editor & filed under Episodes. Here’s our spoiler-filled review of the finale of Strike – The Cuckoo’s Calling. Here’s the only thing that annoyed me about Strike – The Cuckoo’s Calling: the BBC decided to put the first episode on the Sunday, then the second episode the next day, Bank Holiday Monday, then make everyone wait six days for the finale (that’s why there was no Episode 2 review here, by the way: there was a Bank Holiday Strike on. HA-HAA-HAAAAH. Ohh, we have fun). It’s a very terrestrial TV complaint, but to have to wait nearly a week for the conclusion really breaks up the fine momentum the show had built. It’s a bit frustrating, especially as Episode 2 managed to keep up the momentum and dodge the trap of a part two in a three-part crime drama. It usually goes that part one gets to be enticing set-up, part three gets to be exciting pay-off. Part two, meanwhile, is the under-appreciated sibling doing all the hard work of putting the clues and pieces in place to make the other two look good and let the audience feel like proper sofa sleuths. But Episode 2 of The Cuckoo’s Calling managed to add to the evidence without being smothered by it. It didn’t feel like a great amount happened in the episode (apart from some standout drunk acting from Tom Burke), but it also didn’t feel like we had to trudge through an hour of clue treacle. Anyway, that’s enough moaning! Episode 3 of The Cuckoo’s Calling is its strongest instalment, because it manages to do two things well. 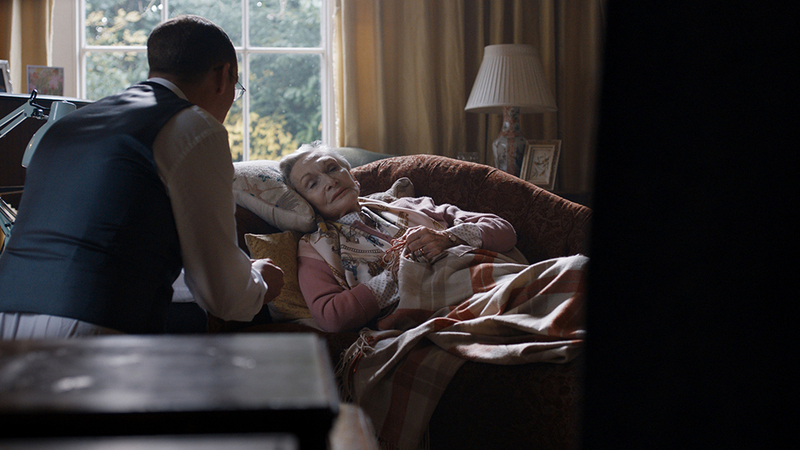 One is to wrap up a straightforward murder-mystery in a satisfying, if unspectacular, way. 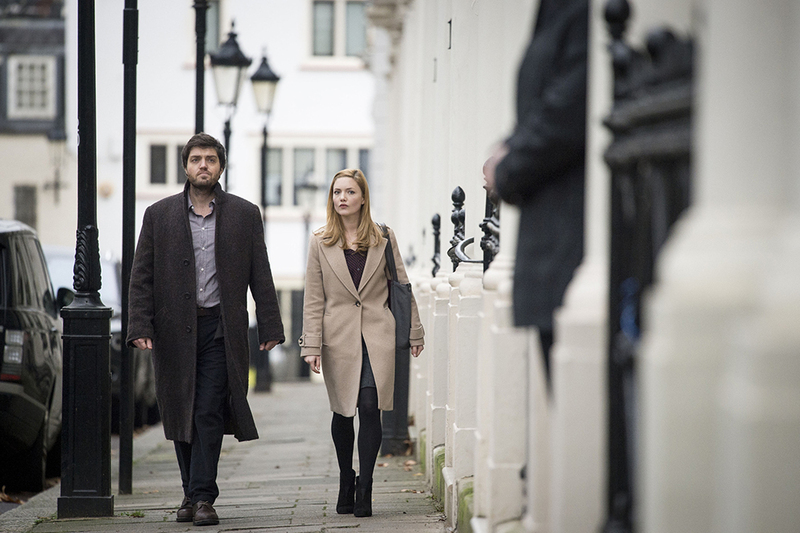 The other is to leave you primed for the further BBC adventures of Cormoran Strike and his plucky assistant Robin (Holliday Grainger). With the current lack of Luther, and the sporadic absence of Sherlock, Strike may be our best hope for a dependable TV detective in a nice coat striding around the swankier parts of London. As interesting as the crime is (we’ll circle back to that), what’s helped The Cuckoo’s Calling has been in using the three-part structure to gradually familiarise us with its leads to a point where we’re ready – and indeed a little eager – to see them plonked in another adventure. It’s a feeling that I didn’t experience at the start. Robin initially seemed like an any-woman assistant with a side-line in accents, but grew into someone more than just the plucky assistant. The search-engine info-dump on Strike in Episode 1 felt clumsy, but turned out to be just the first of many examples of how Cormoran’s reputation as a rocker lovechild and an Afghan war veteran precedes him, follows him, and – as we see in the impressive Afghan flashback that opens Episode 3 – still haunts him. There’s no time for more flashbacks, though! There’s a murder to solve, and CB Strike has now wandered into enough well-appointed homes, glamorous flats, and high-end restaurants, and talked to enough just-suspicious-enough characters to know whodunnit. It’s old-fashioned shoe-leather detective work that gets him to the answer. No mind palace required. It was John Bristow (Leo Bill), the man who put him on the case in the first place. And as Sir David Frost used to say on Through the Keyhole back when that show had some damn class, ‘the clues are there’. Fewer murders on Keyhole, mind. Perhaps, if you hadn’t deduced it already, or read the book, or Wikipedia’d the plot, or asked a chum who’d read the book, then John telling Strike ‘I hate the term real parent’ was the big clue before the big reveal. Although it’s not a big reveal, not really, which makes it all the better. Sat across the desk from him, Strike tells Bristow he knows he did it, how he did it, why he did it. 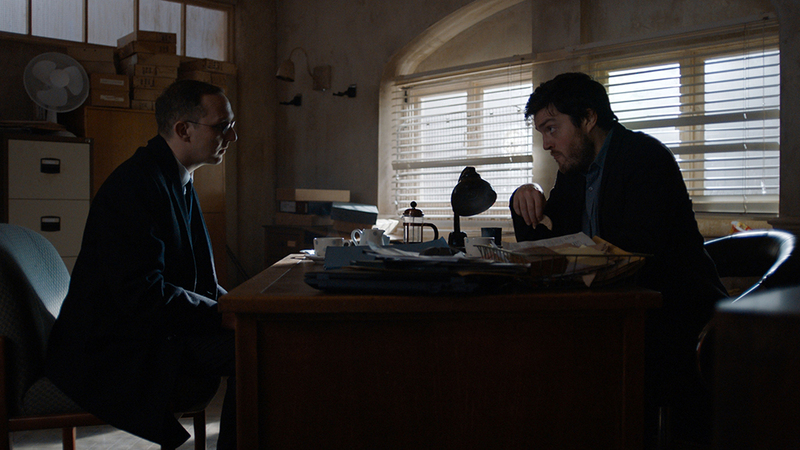 It’s a wonderfully Columbo-y moment in how matter-of-fact and subdued Tom Burke plays it. Of course, Columbos usually ended there. Peter Falk never had to engage in the kind of vicious fight that Bristow and Strike engage in. It’s the last dramatic bellow, there to make sure you’re still paying attention at the back, and if you didn’t know that there were a series of Strike novels, it might actually have you on the edge of your seat. There’s a point in the final few minutes of The Cuckoo’s Calling that sums up both the whole case and the man who’s been investigating it. Tony Landry (Martin Shaw) and Strike stand together in the empty aftermath of the solved case. Two flawed men in nice coats you’d like to own. ‘Families…’ Tony Landry says wearily. ‘Yeah,’ Strike huffs. ‘Yeah,’ Landry replies, and the two men knowingly part – and, after following the case, you know exactly what they mean. The drama of both mens’ lives hangs heavily in those three words, and after watching all three episodes we understand it all too well. Arguably The Cuckoo’s Calling constructed characters better than it did a murder. Strike walks away from us in slo-mo, but The Cuckoo’s Calling has been strong enough that it’s pleasing to see that he will be striding back on to our screens a lot sooner than you may think – because Strike: The Silkworm will air on BBC this month.